Doug Sterner was born on February 12, 1950, in Kalispell, Montana. He enlisted in the U.S. Army in 1969 and went through Basic Training and Combat Engineer Training at Fort Leonard Wood, Missouri, before completing the 6-month Engineer Non-Commissioned Officers Candidate Course. 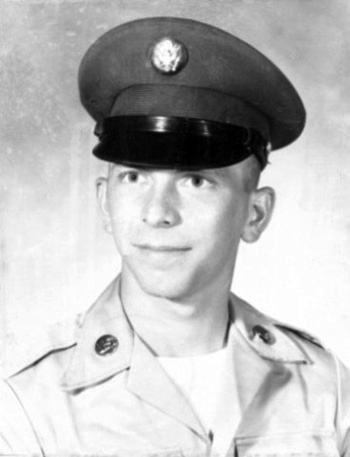 Sterner arrived in Southeast Asia in August 1970 and was assigned to Company A, 65th Engineer Battalion, 25th Infantry Division at Dau Tieng in the Republic of Vietnam. He served with that unit until November 1970, when he went to Company C, 14th Engineer Battalion (Combat), at L.Z. Nancy and L.Z. Barbara in the far north of I Corps. From August to November 1971, Sgt Sterner served with Company A, 27th Engineer Battalion (Combat), attached to the 101st Airborne Division at Camp Eagle. He next was assigned to the 501st Engineers, 1st Brigade, 1st Air Cavalry Division at Bien Hoa. He served at Brigade Headquarters as a Combat Correspondent for the "Garry Owen" Cav newspaper until his return from Vietnam on March 10, 1972. Sterner received an honorable discharge and then joined the Montana Army National Guard, serving for six years with an Aero-Rifle Platoon in Deer Lodge, Montana. Since he left the military, Doug has remained active in several veterans' organizations, writes exensively on military and American history, and created the website "Home of Heroes", where he archives a tremendous amount of history on America's highly decorated military veterans. Doug was honored by the Congressional Medal of Honor Society with their Distinguished Citizens Award in 1997. Doug and his wife Pam reside in Colorado. For heroism in connection with military operations against a hostile force in the Republic of Vietnam: Sergeant Claude D. Sterner distinguished himself on 4 February 1971 when his squad of the 2nd Platoon, Company C, 14th Engineer Battalion (Combat), led a combat assault in support of the 1/11 Cavalry in their mission to re-secure FSB Shepard. Sergeant Claude D. Sterner went in on the initial wave to clean the abandoned FSB of all mines and booby-traps, thus paving the way for the air-lifted artillery to be emplaced providing valuable support to the opening operations of Lom Som 719. The speed and professionalism with which this man carried out his tasks reflect great credit upon himself, his unit and the United States Army.